So my kid is now 17. Came across this pic and kind of makes me sad. He just got accepted to U of I engineering. 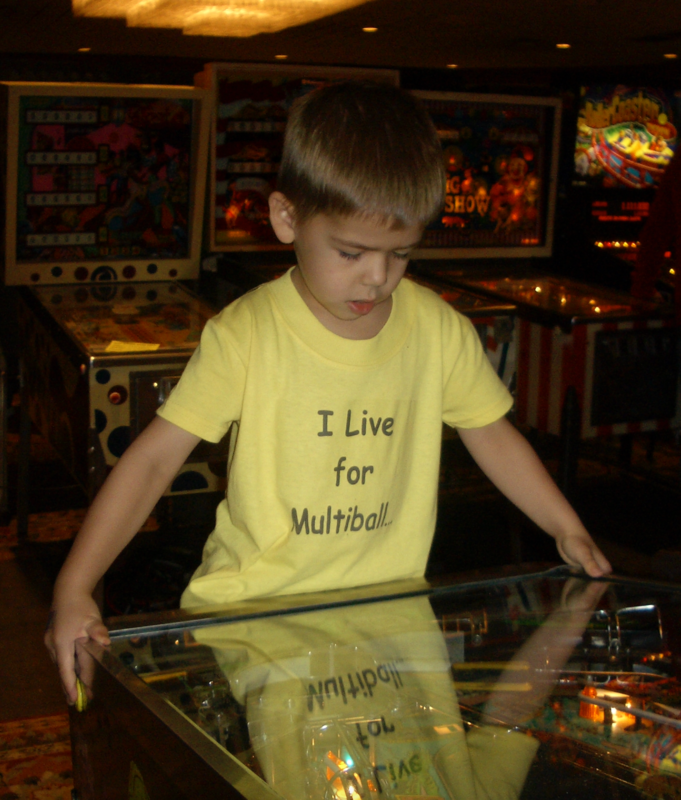 I honestly contribute a lot of his interest in engineering to pinball. My son would spend hours upon hours with me working on pinball machines. To this day, he still likes working on them. He is going into mechanical engineering. House is going to feel pretty darn empty when he leaves. But, I guess I will have a lot more time to work on my machines that are in need of some TLC! Congrats! You have done well, and your son has solid ground.....All Good to come. "Time Flies"....Spent a lifetime on this question.....no answers. Congrats to you and your son! You sparked something in him by working on these great machines together. My daughter just turned 6, I feel like she was in diapers last week! I wish your son all the best in his future endeavors. Just make sure he keeps playing pinball! My daughter turns 21 in a week.... how the hell did that happen?! Yes it does. Awesome job Dad and killer shirt in the pic. Time does fly. I think you guys with kids must realize it more as you have a measuring stick. Congrats on giving him a solid start on life. While we dont have kids, I always enjoy hearing/seeing good parents that do a good job at it.